Historic Vanderhoop Homestead wins key funding for building repairs. 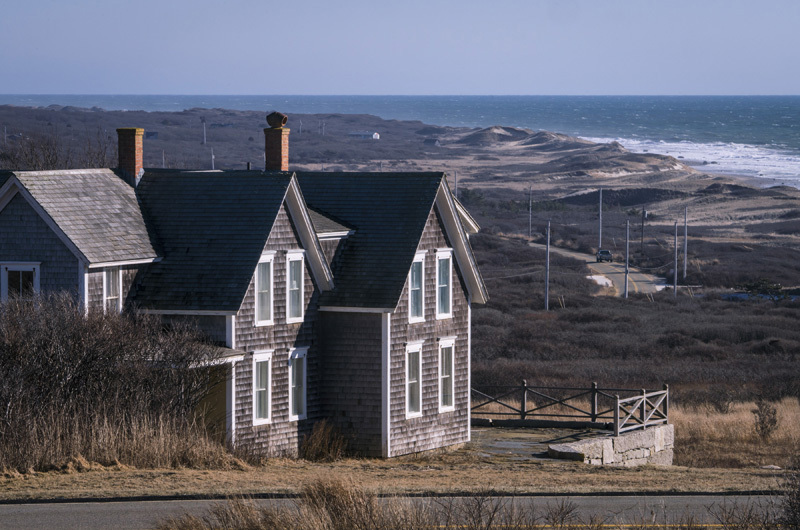 Two state grants totaling $71,000 will go toward the restoration of the historic Vanderhoop Homestead in Aquinnah, town leaders learned late last week. The Aquinnah Cultural Center is the recipient of the grants from the Massachusetts Cultural Council. A $64,000 capital grant is specifically for repairs to the homestead; a separate $7,000 systems replacement grant will pay for a 20-year capital needs assessment of the building and its mechanical systems. Perched on a windswept hilltop overlooking the Atlantic Ocean, the Edwin DeVries Vanderhoop Homestead is a 19th century Wampanoag farmstead that is listed on the National Register of Historic Places. It is used as a community center and museum dedicated to tribe heritage. The town owns the building and leases it to the tribe for various cultural activities. “It’s just an example of the way the town and the tribe can cooperate,” Aquinnah town administrator Jeffrey Madison told the Gazette. Mr. Madison said the money will go toward a much-needed renovation, including replacing crumbling plaster and updating signs. He said applying for the grant was a community effort that many townspeople contributed to once the grant was announced last fall. The Massachusetts Cultural Facilities Fund was created to support the state’s creative economy by supporting building projects. The fund is jointly administered by the cultural council and MassDevelopment. The cultural center grant is one of 98 grants awarded this year, totaling $9.3 million. The Aquinnah Cultural Center is showcasing a new exhibit entitled Messenger Runner.